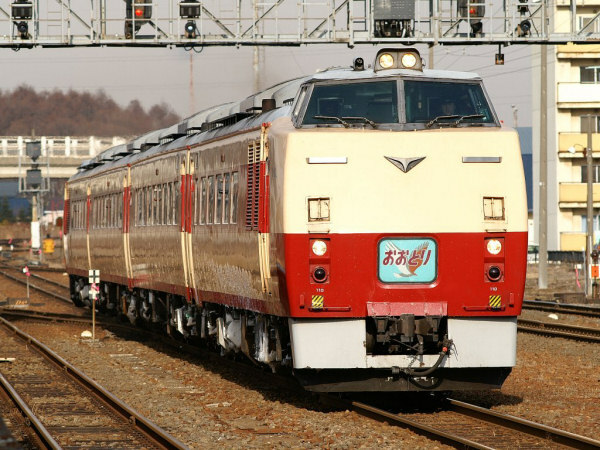 The KiHa 183 Series is a limited express-type diesel car developed by the Japanese National Railways for the harsh winters of Hokkaido. In the late 1970s, the JNR saw the need to replace its aging KiHa 80 Series trains which were beginning to break down due to the extreme cold of Hokkaido's winters. An entirely new design with an elevated cab reminiscent of the 183/485 Series trains was produced and named the KiHa 183 Series. The original trains were not designed to be split up or be connected to other formations and have end cars with a slant-nose design without walk-through doors. The slanted nose was designed to prevent snow from sticking to the front and back of the train. Cars in this group originally had 220hp engines, but some have been given 450hp engines and been given the 200 Numbers designation. Currently, formations with slant nose end cars on both ends are being phased out but can still be seen operating as the limited express Okhotsk. In 1986, a modified version known as the 500 Numbers or the N183 Series was introduced. These trains lack the elevated cab of the original batch of trains but instead have walk-through doors making the splitting and joining of formations much easier. The N183 Series trains are capable of speeds up to 120km/h compared to the original 110km/h of the original 183 Series. Most N183 Series cars have 550hp engines but cars with electricity generators have 250hp engines. A further modified version known as the 550 Numbers or NN183 Series was introduced in 1988. These trains are similar in appearance to the N183 Series but have 660hp and 330hp engines. 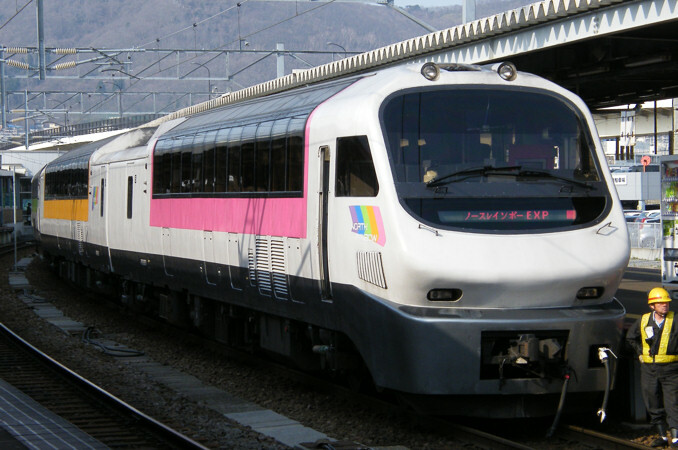 NN183 Series cars have been further modified to allow top speeds of up to 130km/h to match the speed of the KiHa 281 Series. Green cars from the N183 Series have also been given these modifications. These modified trains are known as the 2550/3550 Numbers. 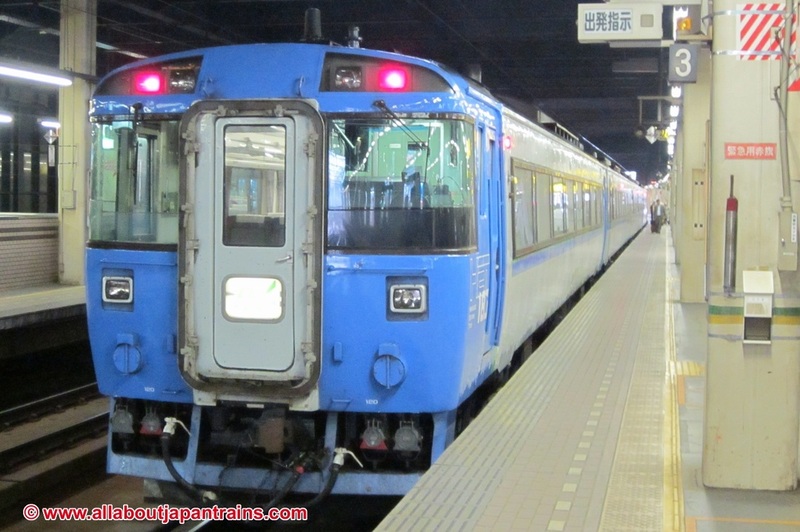 Three highly modified versions known as "Joyful Trains" and used as seasonal limited expresses have also been produced. 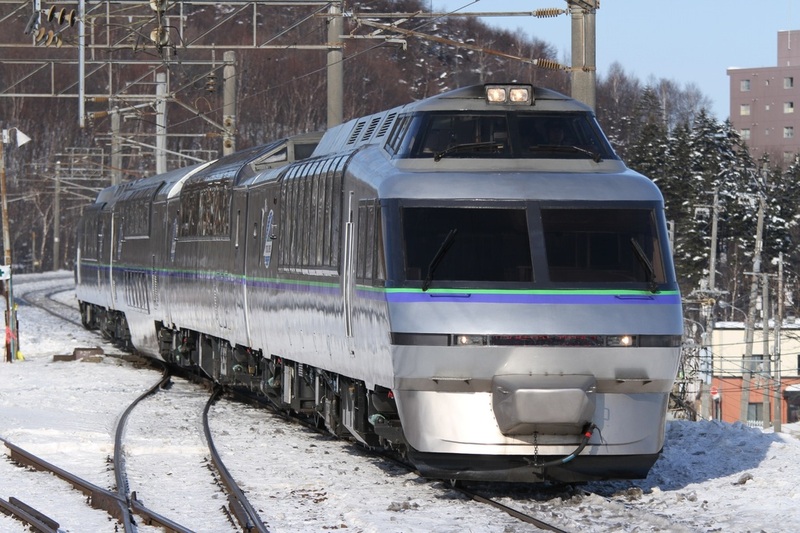 The first is the Niseko Express which was originally designed to connect Shin-Chitose Airport outside of Sapporo with the Niseko Ski resort. The design is based on the NN183 Series but has higher floors and slant-nose end cars. The second is the Crystal Express Tomamu & Sahoro, designed to carry tourists on the Sekisho Line. 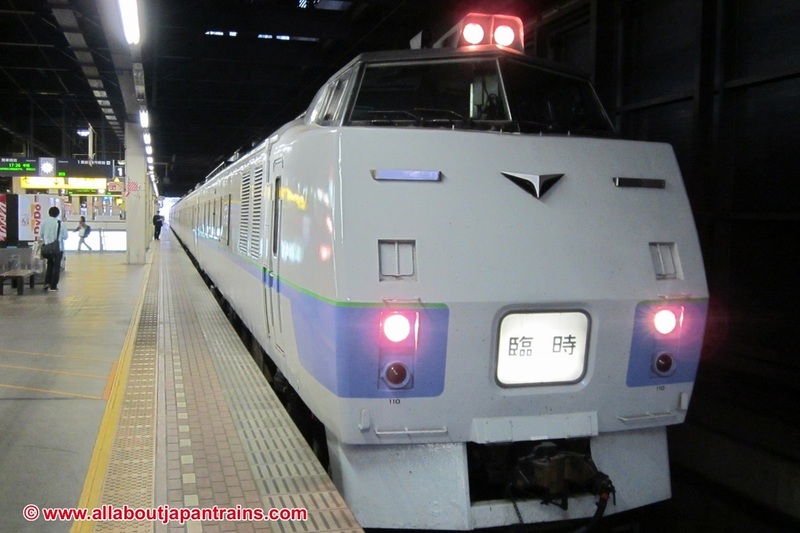 Like the Niseko Express, it is also based on the NN183 Series. However, its end cars have an elevated cab with passenger seating located below. These seats are currently not used due to the potential danger of a train crossing collision. The last is the North Rainbow Express, designed to replace the Alpha Continental Express. One of the key features of this train is the double decker car with seating on the second floor and a lounge on the first. All other cars have elevated seating to improve visibility.